If you’re having a classy, spiders-and-witches Halloween party this year, how great would this cake be as the centerpiece of the dessert table?!?! 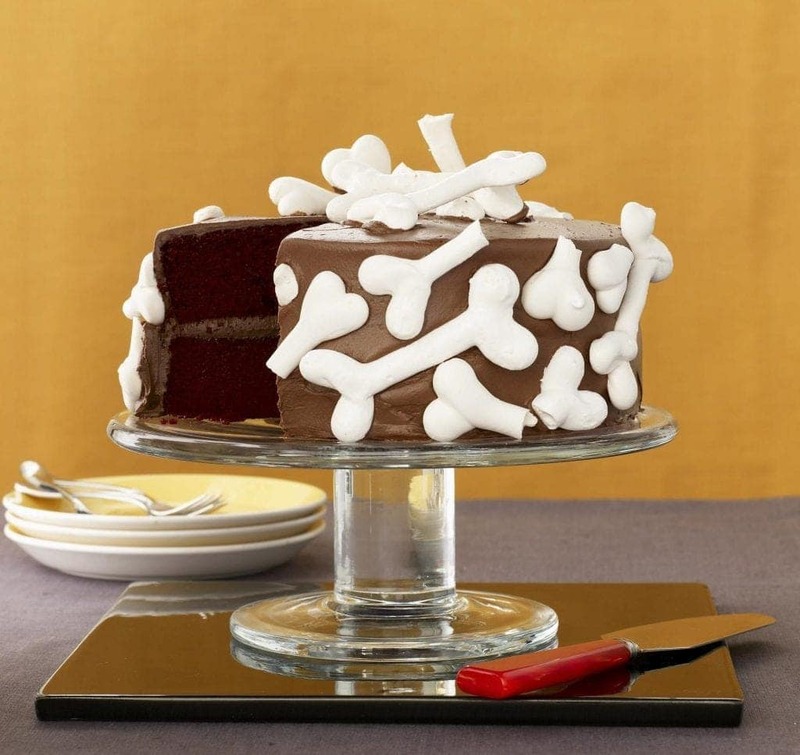 Spooky meringue bones top red velvet cake. Heat oven to 250ºF with two racks centered. Line two baking sheets with parchment paper. Combine egg whites, sugar and cream of tarter in a heat-proof bowl. Place over a pot of simmering water and whisk gently until sugar is dissolved, about 3 min. Remove from heat. With an electric mixer, whisk on medium-high until a stiff meringue forms, about 10 min. Transfer meringue to a piping bag fitted with a #12 plain tip, then pipe 3 1/2- to 4-inch-long bone shapes on baking sheets. Bake 20 min. Turn oven off and let meringues dry in oven for 30 min more. Let bones cool before carefully removing from parchment paper. Coat one cake layer with 1/2 cup frosting and top with second layer. Frost entire cake and refrigerate to set, 30 min or overnight. Decorate with whole and broken bones before serving. 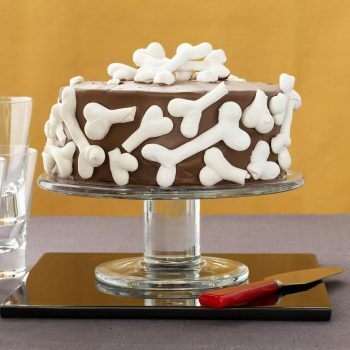 Place those bones atop this cake just prior to serving and listen to the compliments! Your Halloween treats are off the charts! I love this! So many fun Halloween recipes!